Increase in mobility, use of smartphones and tablets means that responsive web design is critical in providing a consitent and optimized web experience on any display. 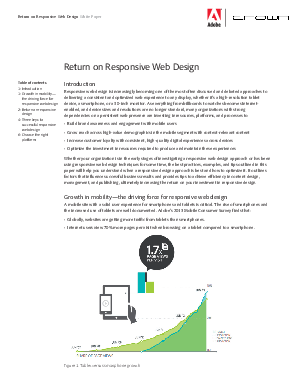 Over 79% of companies consider responsive design a priority. In order to understand these trends, the direction of future business and the 3 keys to successful responsive web design, download this whitepaper to learn more.